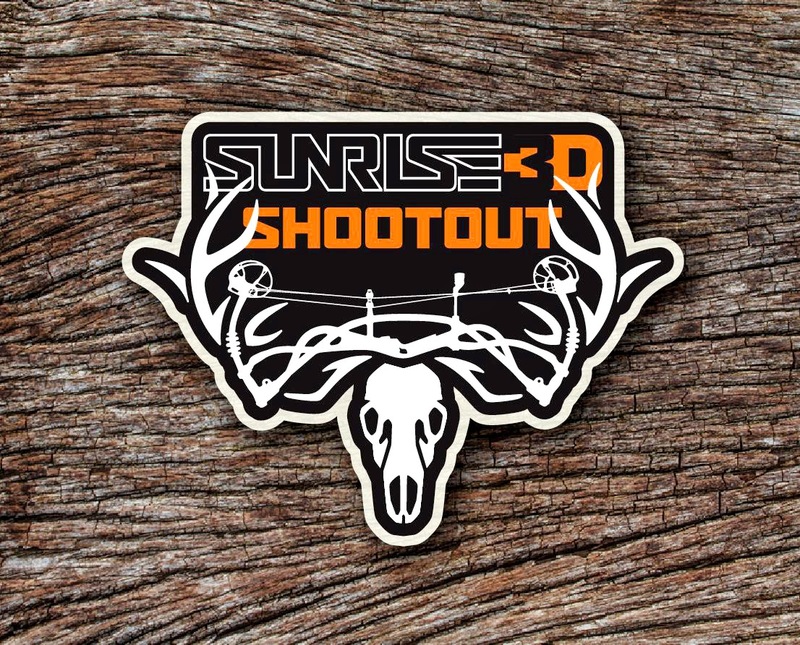 Most people don't know that the Sunrise Ski Park hosts one of the biggest 3D Archery Tournaments in the Western United States each year on the 4th of July. Sunrise is nestled in the world famous white mountains of Eastern Arizona on the White Mountain Apache Indian Reservation. It is quite literally one of the most beautiful places on earth! A few months ago, our sister company Tactix Creative was contracted to create a logo for the 2014 tournament. The logo would be used as the central image for the shoot as well as products available at the merchandise tent. The logo features a deer skull and antlers with a Hoyt Carbon Element bow profile worked into the detail of the antlers. The logo was a hit, as well as the vinyl vehicle window stickers we printed for the event! Thanks Sunrise… we hope to see you again in our studio soon! Like the logo/vinyl stickers featured in this post? Want to see more? Check out our website at TowerMediaAZ.com for more product and printing services we offer, or visit TactixCreative.com to view our sister company's logos, illustrations and more! Don't forget to follow Tower Media Group on Facebook, Twitter, Instagram, Pinterest, and Google+! Custom Vinyl Labels Printing Services - We use 100gsm material used in printed vinyl stickers and labels create them tough, high definition printing, meaning that your custom vinyl labels and stickers will printed with high quality. We have made a lot of orders with discount Vinyl Labels and sticker printing each month.